… and why I’m still “urban” for a little while longer. Portugal is a lovely country: it has plenty of sunshine, the people are lovely and the coffee is great. And it has plenty of property to buy, especially if you look outside of the big cities like Lisbon or Porto. Sadly, much of the rural property is abandoned, often in dire need of repair and restoration. Which is probably exactly why an increasing number of foreigners tend to buy these places and turn them into anything from B&B’s to workshops, farms, small holdings and palatial residences. In my case, the first hurdle was dealing with the real estate agents. This was somewhat unexpected, as in the UK, estate agents tend to be highly motivated folks, who are literally chasing after any potential buyer. In Portugal, my experience couldn’t have been different: I was lucky to get a reply to an email inquiry maybe 1 out of 10 times, and then mostly stating that all the information was on their website (even though I usually asked for information that was actually not on the website to begin with). The solution came in the form of pureportugal, a website where most of the property is advertised by the owners. This meant that I could email questions to the people selling the properties – and usually got an answer really quickly. The downside of this though is that now I am dealing directly with the owner, rather than someone necessarily experienced in selling property, which explains the problems with the deeds that followed. That said, from countless stories on the internet, it seems even a slightly clueless but well-intentioned owner is better than a disinterested estate agent. So maybe this is a blessing in disguise. So, here came hurdle number two: the trouble with the “deeds” and “licenses”. This is probably the most complicated and confusing part of the property purchase to navigate. Basically (or rather as far as I understand by now…. ), the land is divided up into either rustic land or urban land. That means, rustic land is land that is used for agriculture and has no buildings on, like a field, olive grove etc… Urban land is land with a building on (or it could have a building on it). The problem, however, comes when the place is sold – as then the licenses and deeds should be correct, or otherwise, the purchase might end up having to correct all of this, including incurring fines and even potentially having to demolish buildings. And, of course, any alterations can’t be done before the correct licenses are awarded. Basically, at that point, I had to make a choice: I either look for another place, or I stick with the place that I like and wait for the process to complete. Reading how other people have literally ‘abandoned’ plans to purchase upwards of a dozen properties because of the problems with the deeds and licenses, I decided to try and stick with this property. After all, the property I have set my eyes on seems to offer everything that I wanted, and in a location that is amazing. Having made that decision, my lawyer suggested putting a time limit into the contract: so if the legalisation hasn’t happened within a year, I can pull out and look for another property. With this reassurance, I decided it was a gamble worth taking, and, fingers crossed, I won’t need to go to plan B, visit lots and lots of other properties and hope that they have the right paperwork…. and start everything all over again. 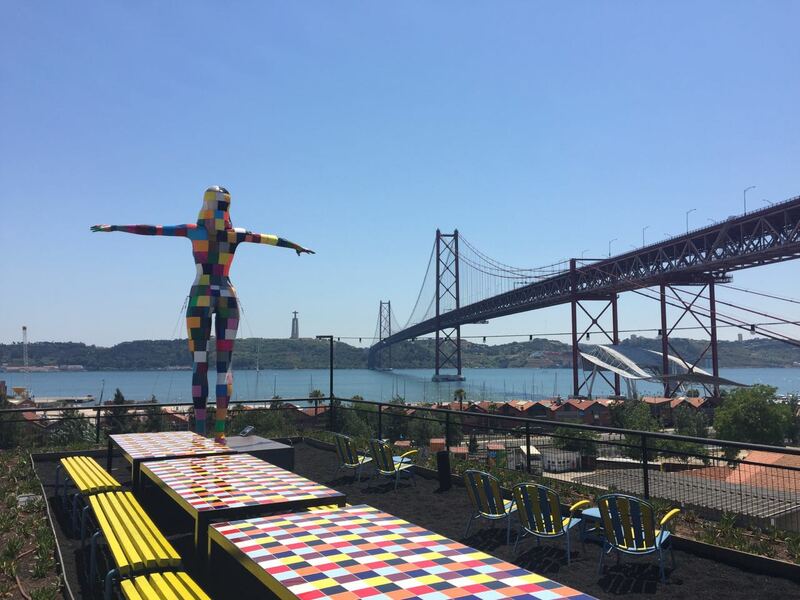 As luck would have it, shortly after deciding to stick with plan A, I was also lucky enough to be offered another contract for work, which meant that I was stuck in Lisbon until the summer anyway. In that sense, it seemed like a good choice to hold on and wait. Which also explains why I’m still in the big city, rather than in the countryside. Unfortunately though, the process of legalising an existing property is indeed fairly exhausting – and time consuming. My place as a buyer is very much that of a spectator in this steeplechase, but I really feel for what the vendor is going through. He has faced any possible hurdle that I could imagine: from the dossier being sent to the wrong department, forgotten to a barrage of visits, questions and requests, and the authorities are definitely not making this process any easier. The side effect of this is, however, that the vendor and I have now become pretty close friends: Over the last few months, we have regular meetings for lunch, going on excursions together and having small updates about the trials and tribulations of the legalisation process. I have also learned lots about the local area, as the vendor loves to talk about traditions, hidden places and other trivia from the area. In that sense again, I’m quite glad I actually know whom I am dealing with, and not dealing with an anonymous other through an estate agent. I can only imagine how much more frustrating and complicated that would be!